Gamburd, M. (2013). Geraldine Pratt. 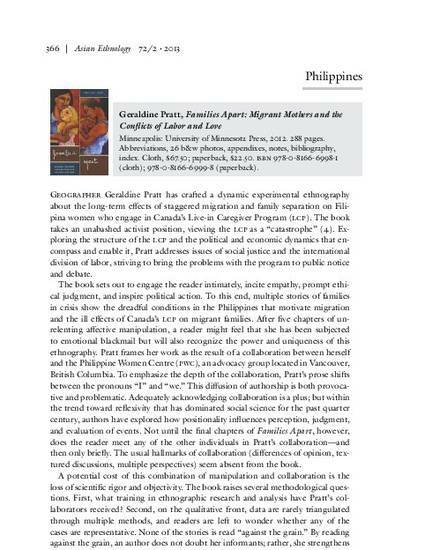 Families Apart: Migrant Mothers and the Conflicts of Labor and Love. Asian Ethnology, 72(2), p. 366-368.